Large, rosettes of green and dark purple. Thrive best in full sun and on poor, sharply drained soils. 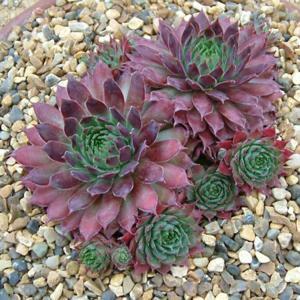 Very drought tolerant and will survive in positions where not much else will grow. Will root into very small crevices, but may need to be secured until established. Alpine gardens, sinks and other containers.